A classical chain hotel without charm despite the 2012 renovation of its 456 rooms. 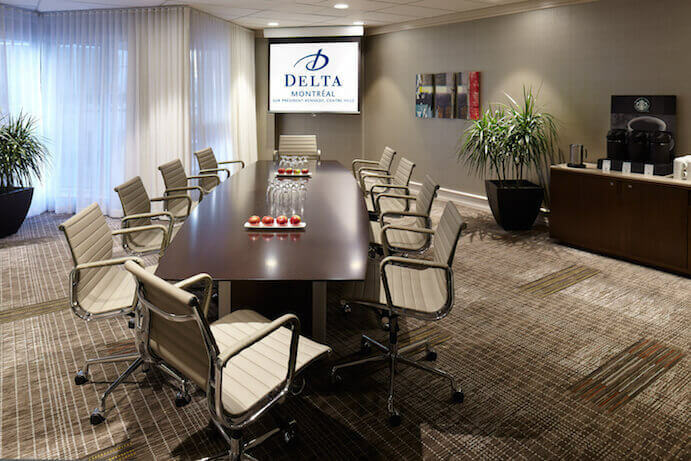 The Delta Montreal is perfect for business guests transiting via Montreal. With it’s basic decoration and generic atmosphere, the Delta located in a 80s average building has little to offer in comparison with its concurrents also established downtown. 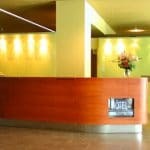 Despite the fact that we wouldn’t describe this hotel with superlative adjectives, we have to admit that it has some non negligible-assets such as a professional staff and impeccable cleanliness of the establishment. Its 456 rooms are spread out on the 23 floors of a building built in 1986. 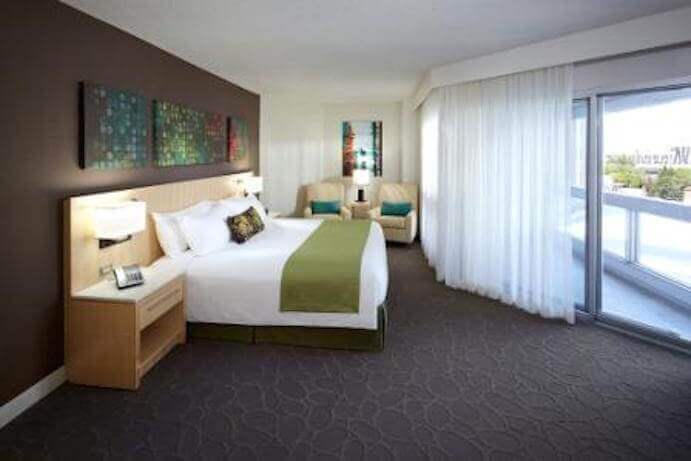 Renovated in 2012, the rooms feature free wifi, an iPod station, and a high definition flat screen television. 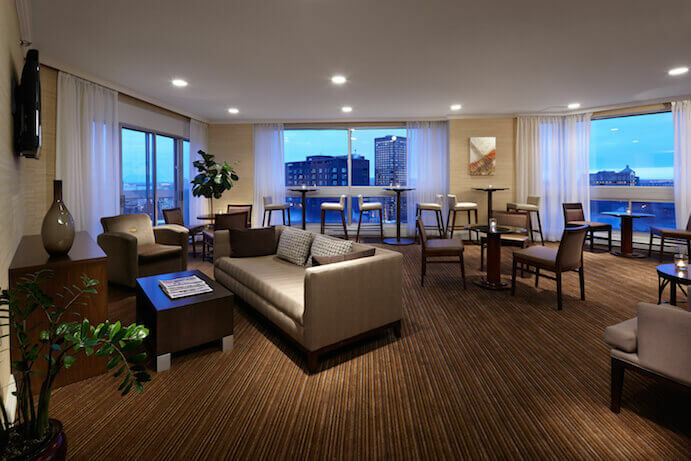 If you are a Club Lounge member, you’ll have access to the relaxing area on the 23rd floor that features a very nice view of Montreal in addition to the free breakfast and hors d’oeuvres after 6pm. The hotel also features a complete gym as well as a large pool, a spa, and indoor parking. 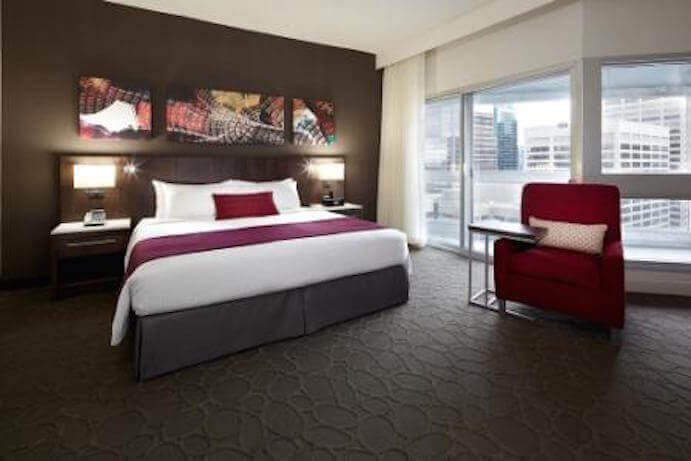 The Delta enjoys a central location, one block away from Sainte-Catherine Street, the shopping artery of the Montreal, a bit like 5th Avenue in New York City minus the high-end stores. The hotel is on President Kennedy Avenue, halfway between McGill and Place des Arts metro stations (line 1 – Green). It’s also close to bars, restaurants, and downtown stores as well as the busy Place des festivals during summer time. This hotel completely changed over the past few years. The service is great, people really care about your needs and are willing to exceed your expectations. 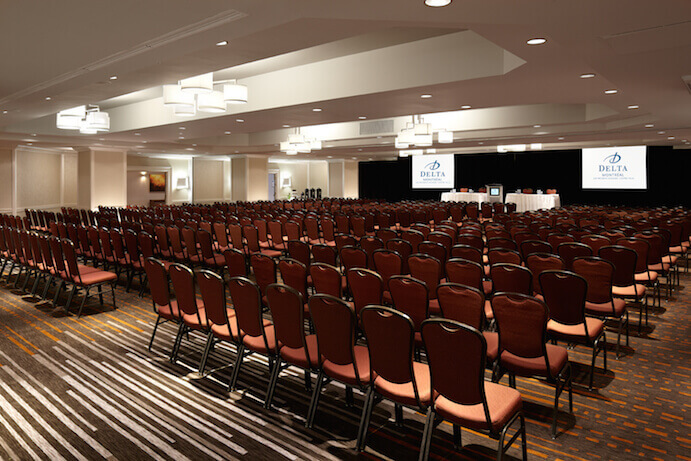 The room are larger then most hotels in Montreal + they have a balcony so you can get a breath of fresh air! 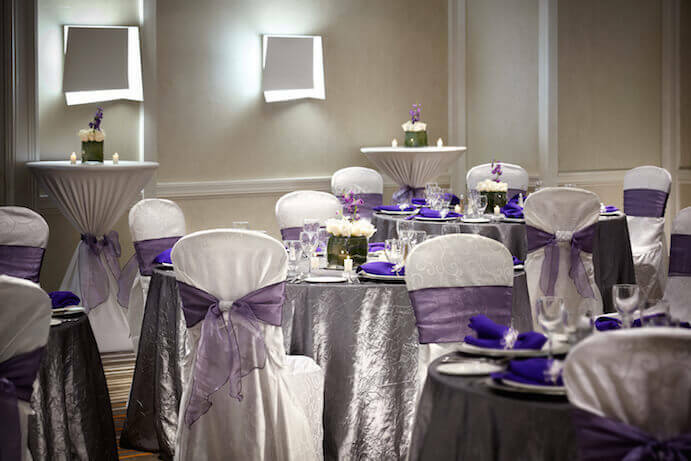 If you’re looking for a great hotel, this is the one you’re looking for!